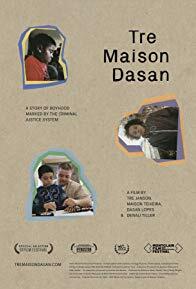 TRE MAISON DASAN is told directly through the eyes of the children themselves, Tre Maison Dasan is a moving portrait of three unforgettable young boys struggling to grow up with a parent in prison. They face the pressure of growing up in a society that often demonizes their parents, provides little support for their families, and assumes “the apple doesn’t fall far from the tree.” Society writes them off as criminals, but in their hearts their children still see them as mom and dad. Tre is a charismatic but troubled 13-year-old who hides his emotions behind a mask of tough talk and hard edges. Maison is a funny, charming, hyper-articulate 11-year-old whose Autism Spectrum Disorder presents itself through his ever-active mind and deep love for those around him. Dasan, the youngest of the boys, is a shy and sensitive six-year-old full of curiosity and empathy. Although their parents are incarcerated for serious crimes, the strong and caring relationships they maintain with their kids shatter stereotypes about those behind bars and remind us of the plight of the over 1.7 million American children growing up with an incarcerated parent. Denali Tiller is an artist and filmmaker. 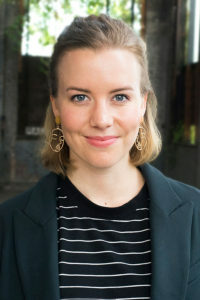 Following her work directing and producing TRE MAISON DASAN, Tiller is working on a large-scale, multi-sectoral impact campaign for the film, engaging communities affected by incarceration across the US and in Europe. In 2015, Denali was named one of 10 “Filmmakers to Watch” by Variety. As a director, Tiller is passionate about exploring new perspectives on systemic issues, empowering youth and women, and how we raise boys in America. Director Denali Tiller joins us for an engaging conversation on the implications of incarceration that go far beyond a prisoners time behind bars and into the deeper impacts it has on their family, community and civil society. This entry was posted in documentary, drama, Film Festival, Film School interview, Independent Lens, Indie, PBS by admin. Bookmark the permalink.